FIGAROVOX / TRIBUNE - Andrew Brunson has now been imprisoned in Turkey for a year and a half and will be tried on April 16th for "terrorism". His crime? This American pastor wanted to practice his Christian faith in Turkey. According to Grégor Puppinck, Turkish President Erdoğan has reached a new stage in his massive political purges. On April 16th, an emblematic trial will take place in Turkey: that of the American pastor Andrew Brunson, who has been officially accused of "dividing and separating the country by means of Christianization" of the population. Prior to his imprisonment, Pastor Brunson had lived peacefully in the city of Izmir for over 23 years. The Turkish prosecutor listed about 50 other "suspects" because of their alleged links with Pastor Brunson. 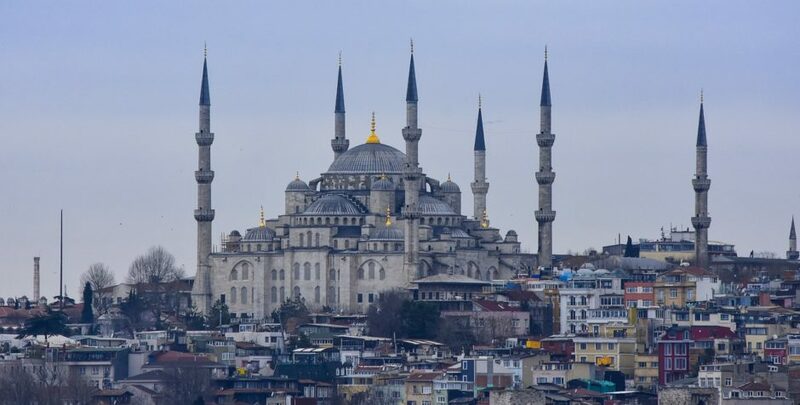 Just over 0.1% of the population in Turkey is Christian, and yet, President Erdoğan afraid that Christian evangelization will divide this Muslim nation? Some churches have reported numerous testimonies of conversions of Turkish Muslims to Christianity. But Erdoğan's real motives seem to be not only religious: they are political. Prisoner Andrew Brunson is being used by Turkey to blackmail Western countries. When U.S. President Donald Trump asked for his release, Erdoğan offered to swap him with Fethullah Gülen, his main opponent and political refugee who currently resides in the United States: "Give us that one [Gülen] and we'll (…) give back yours [Brunson]". The President of Turkey knows that by targeting an evangelical American pastor, he attacks a symbol for President Trump's electoral base. Two separate American petitions each gathered 500,000 signatures to ask for Andrew Brunson’s release. This public opinion mobilization prompted the U.S. government to react. Vice-President Mike Pence said the Brunson case has become a "top priority" for the White House. Prisoner Andrew Brunson is being used by Turkey to blackmail Western countries. Unfortunately, Pastor Brunson’s release is far from certain, as the implausible indictment released in March shows. It states that Andrew Brunson faces a 35-year prison sentence for "terrorism." He allegedly contributed to the coup d’État attempt of July 2016, in coordination with the Gülen movement and the Kurdish independence party (PKK). It alleges that he acted as an "agent for unconventional warfare" under the cover of the "mask of an evangelical church pastor". These charges are based solely on an "anonymous witness" and "secret documents". The prosecutor's argument summarizes well the conspiracy theory imagined by Erdoğan, which tries to make it seem as though all his opponents are plotting together to organize a coup d'État. According to the indictment, Pastor Brunson, the Gülen movement and the PKK “misuse persons' religious beliefs and try to create a synergy that poses a threat to their own government”. Incredulously, these allegations thus imply a politico-religious plot between an evangelical pastor, a Sunni Muslim movement, and a Marxist-Leninist party. At least the Turkish prosecutor admits to the fact that the detention of Pastor Brunson is mainly related to his action of "Christianization". The indictment explicitly states that the Christian faith endangers the unity of the Turkish nation, and that those who practice Christianity divide the country. For example, Andrew Brunson is accused of having expressed, in a private message, his hope that the Turkish people would turn to the Christian faith before "Jesus’ return". Moreover, according to the "anonymous witness", American Protestants and Israelis are “counting on being forerunners in the war to come” because they believe that “all humans are [their] slaves”. These accusations show the disturbing penetration of irrational conspiracy theories into the Turkish state apparatus. And such allegations should cause the United States and Europe to question the reliability of their alliance with Turkey within NATO. These various elements of Pastor Brunson's indictment indicate a biased trial and probable conviction. His arrest is in addition to that of 160,000 other victims of purges in Turkey since the alleged coup d’État attempt in July 2016. These professors, judges, journalists and/or officials have also been accused of "terrorism". Unfortunately, President Erdoğan won’t stop there, and warned France in January: "It's not over yet: there are still a very serious number (...) of terrorists". With the Brunson case and the fifty new "suspects", this pretext of "terrorism" is broadened: its goal is to imprison Christians who practice their faith. If Europe does not react firmly and demand Pastor Brunson’s release, it will indicate a weakness to Turkey. Western States need to be aware of the reality of this Turkish “justice”, which is today largely subject to authoritarian presidential power. For this reason, they should not wait for the outcome of the judicial proceedings in Turkey to act for Pastor Brunson’s release, especially in bringing the case before international institutions. On this point, we are pleased that this matter is currently being discussed at the Committee of Ministers of the Council of Europe. Pastor Brunson's daughter also recently gave a moving testimony before the United Nations Human Rights Council (see below). However, Turkey is also putting pressure on international institutions. In his negotiations with European states, Erdoğan threatened multiple times to open the floodgates of migration into Europe. In Strasbourg, Turkey drastically reduced its contribution to the Council of Europe budget, plunging it into an unprecedented financial crisis, while building a monumental consulate there. If Europe does not react firmly and demand Pastor Brunson’s release, it will give a indicate a weakness to Turkey. Gregor Puppinck is a doctor of law and director of the European Centre for Law and Justice (ECLJ). He is a member of the OSCE Panel of Experts on Freedom of Conscience and Religion. He is the author of several books and numerous articles. Mr Puppinck’s mission is to provide advice, guidance and recommendations to the Organization for Security and Co-operation in Europe (OSCE) and its member states on matters relating to freedom of religion or belief, including draft legislation, state policies and practices in this area.